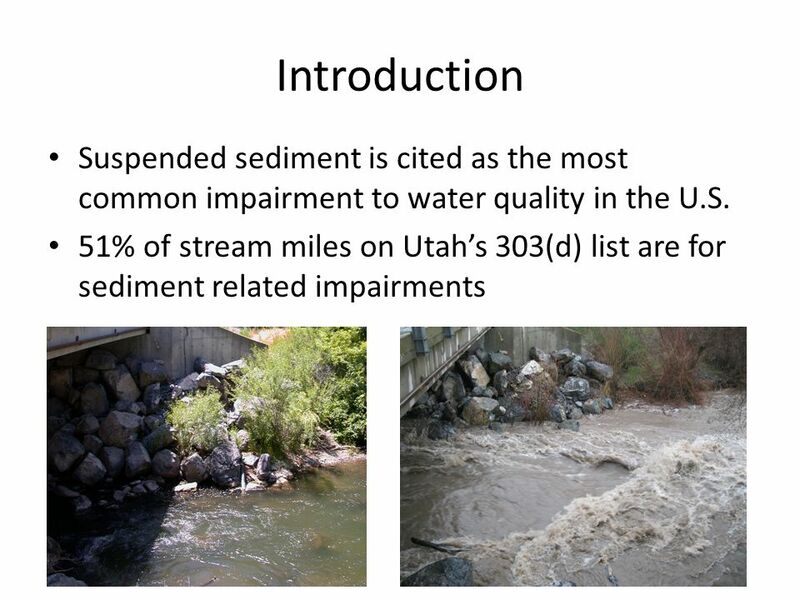 IMPROVING ESTIMATES OF SUSPENDED SEDIMENT CONCENTRATION AND FLUX IN THE LITTLE BEAR RIVER Brant Whiting, Jeffery S. Horsburgh and Amber S. Jones Utah Water. 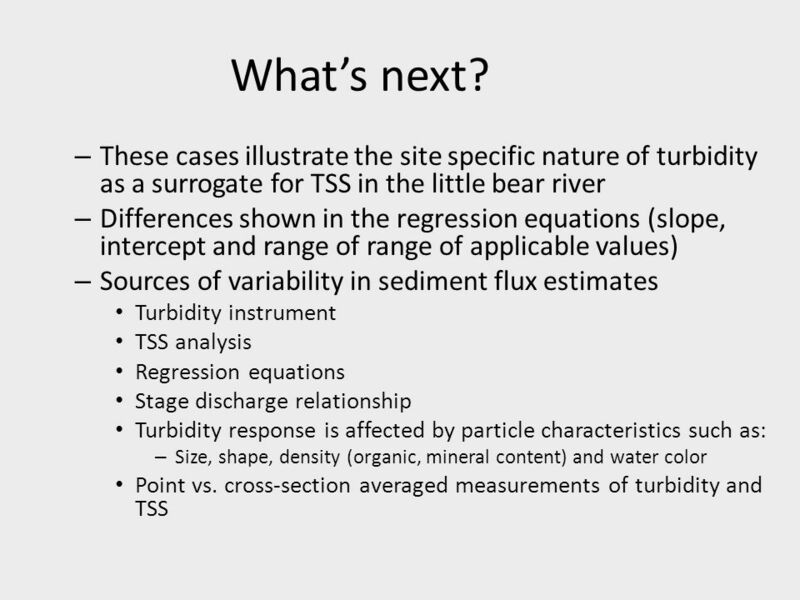 6 Research Objective Test the generality of using turbidity as a surrogate for suspended sediment and identify potential confounding factors. 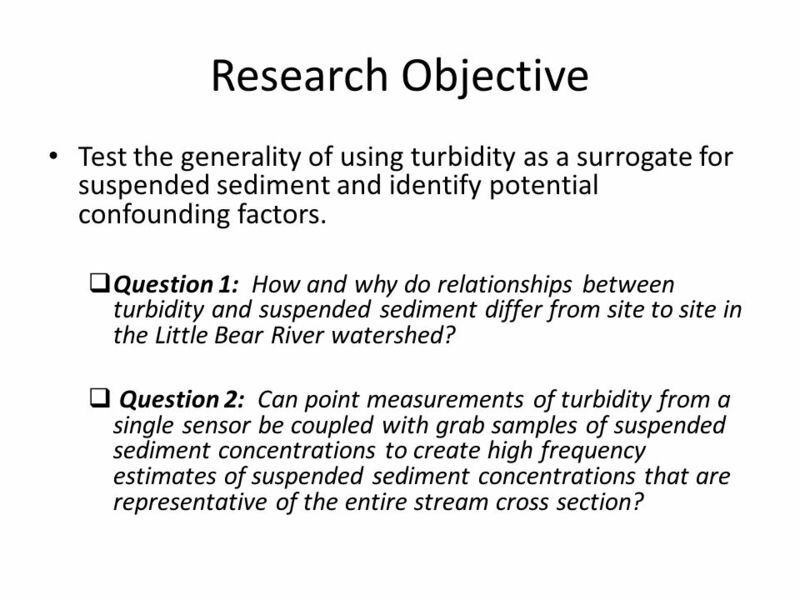  Question 1: How and why do relationships between turbidity and suspended sediment differ from site to site in the Little Bear River watershed? 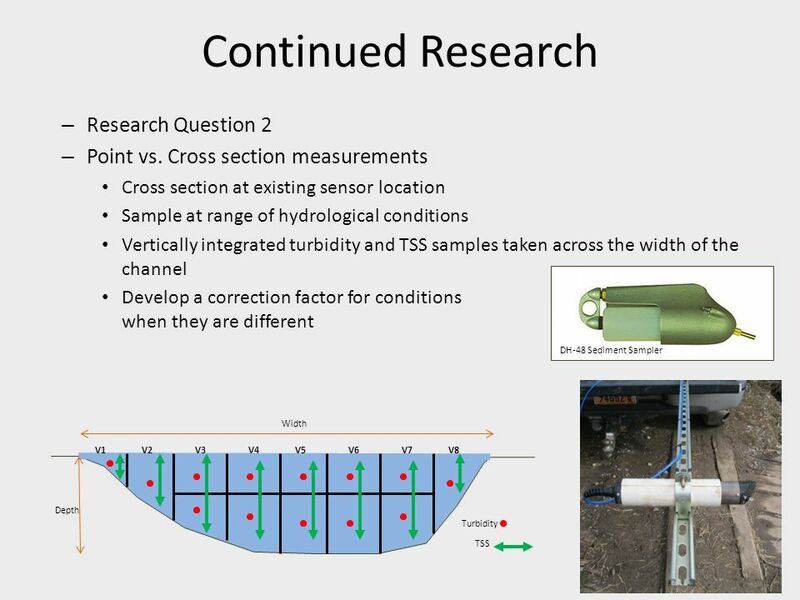  Question 2: Can point measurements of turbidity from a single sensor be coupled with grab samples of suspended sediment concentrations to create high frequency estimates of suspended sediment concentrations that are representative of the entire stream cross section? 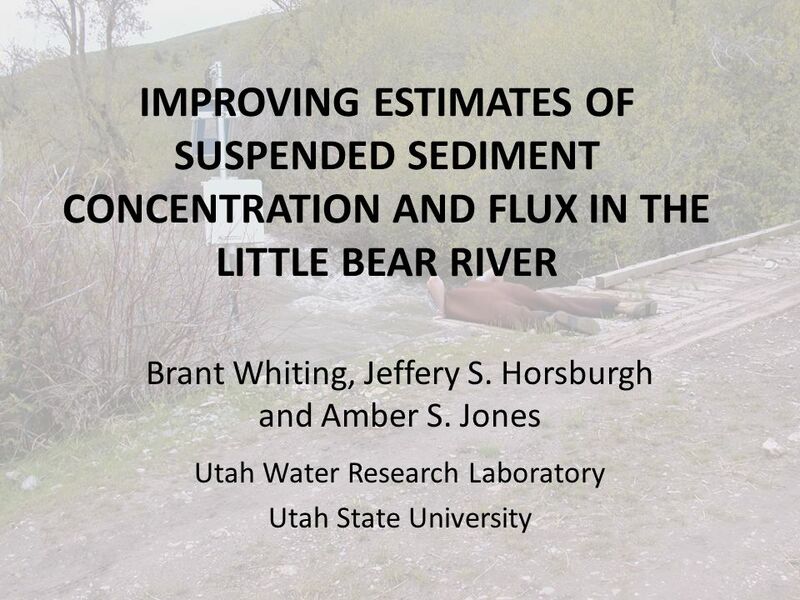 Download ppt "IMPROVING ESTIMATES OF SUSPENDED SEDIMENT CONCENTRATION AND FLUX IN THE LITTLE BEAR RIVER Brant Whiting, Jeffery S. Horsburgh and Amber S. Jones Utah Water." Hydrology is the study of water properties amounts distribution movement hydrologic cycle. 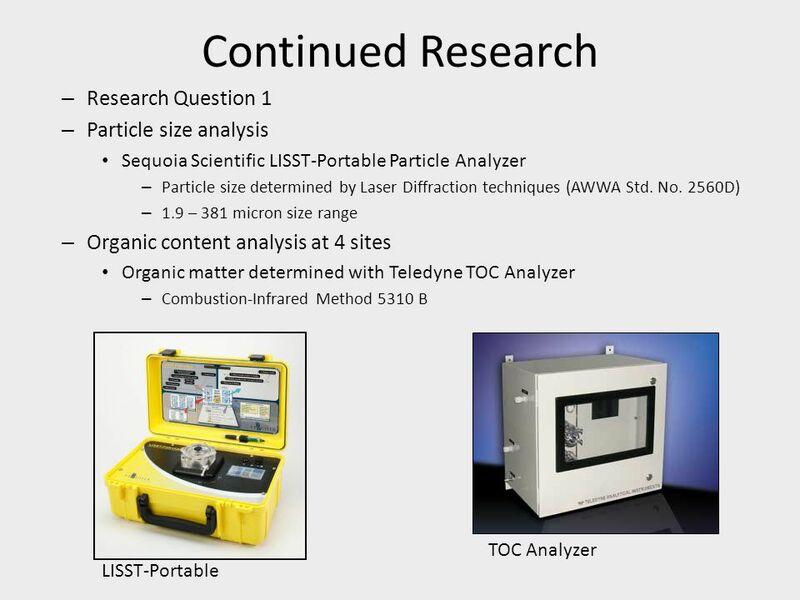 Real-time Corrosion Product Transport Monitoring Using On-line Particle Monitors Joe Zimmerman Chemtrac Systems, Inc. Norcross, GA. 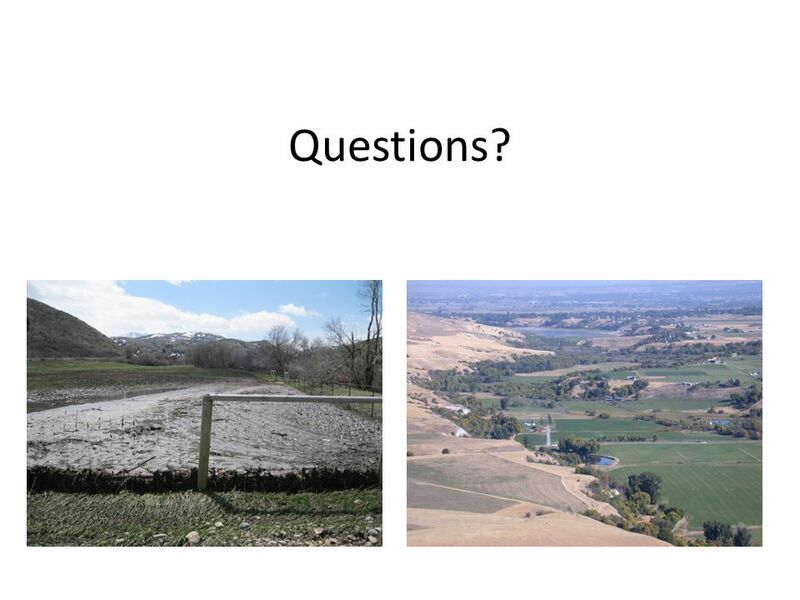 DESIGNING MONITORING PROGRAMS TO EVALUATE BMP EFFECTIVENESS Funded by grants from USDA- CSREES, EPA 319, NSF Nancy Mesner - Utah State University, Dept. 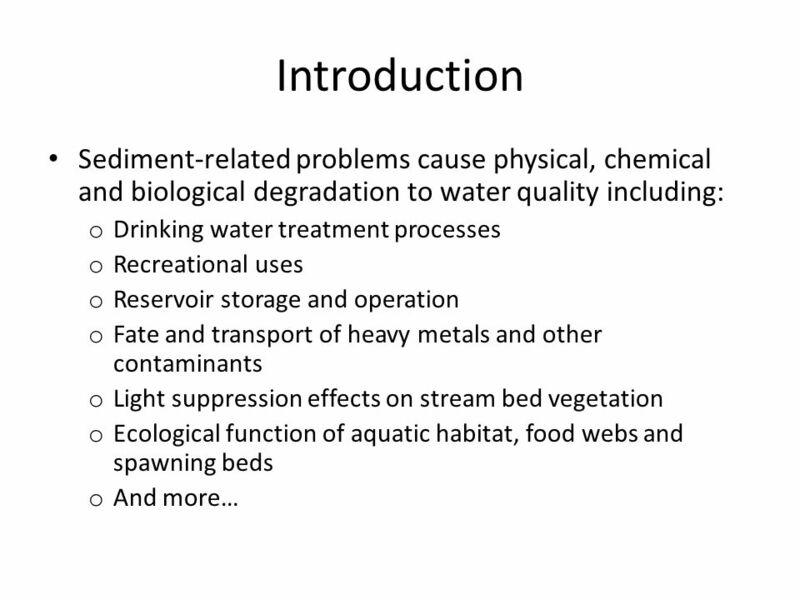 Hydrology: Discharge, Hydrographs, Floods, and Sediment Transport Unit 1: Module 4, Lecture 2. Chesapeake Bay Program Monitoring Activities and Monitoring Network Design Chesapeake Bay Program Monitoring Activities and Monitoring Network Design Stephen. 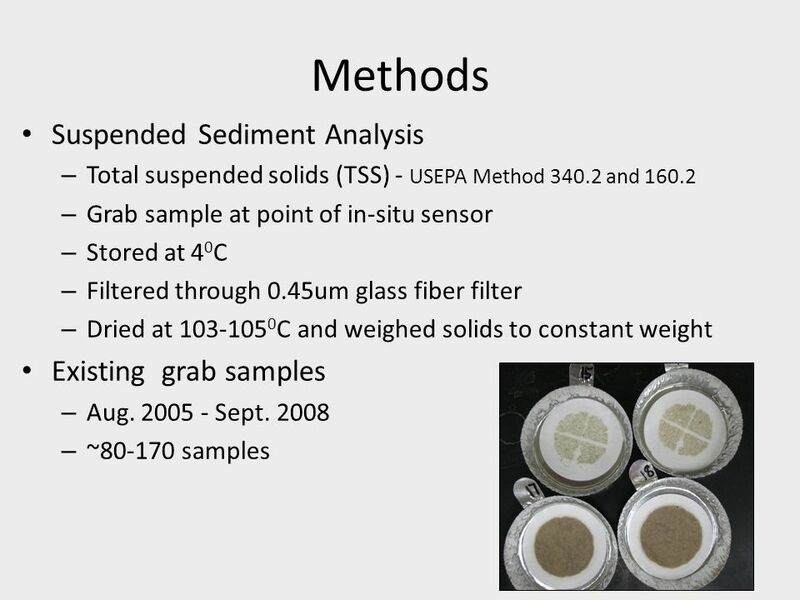 A Real-Time Water Quality Monitoring Network for Investigating the Strengths and Weaknesses of Existing Monitoring Techniques David K. Stevens 1, Jeffery. 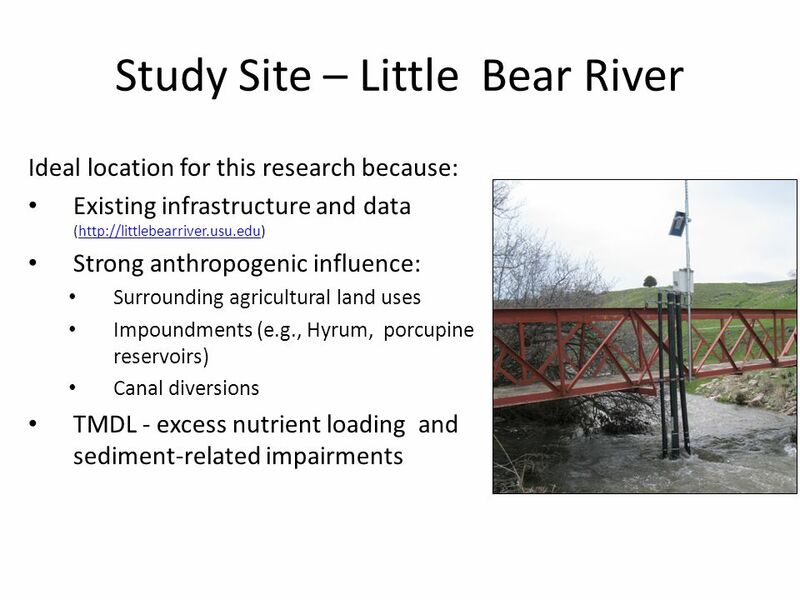 SENSORS, CYBERINFRASTRUCTURE, AND EXAMINATION OF HYDROLOGIC AND HYDROCHEMICAL RESPONSE IN THE LITTLE BEAR RIVER OBSERVATORY TEST BED Jeffery S. Horsburgh. 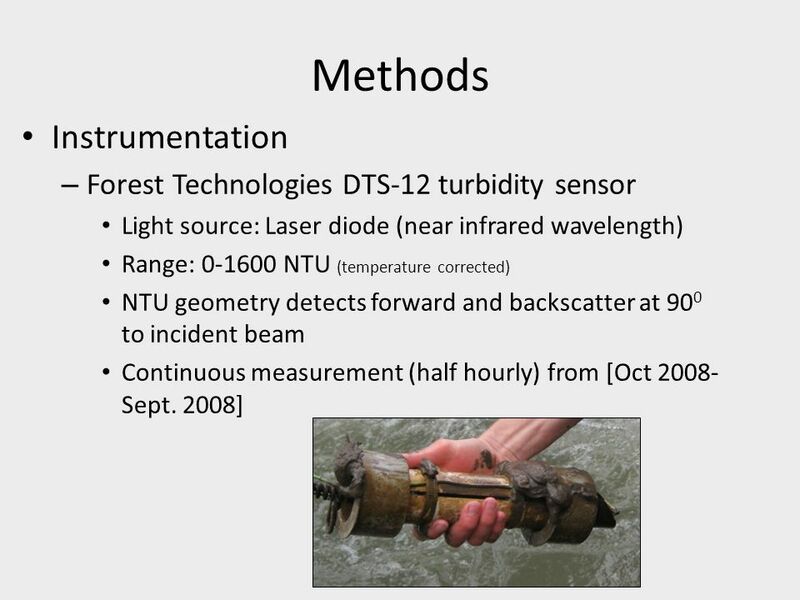 Components of an Integrated Environmental Observatory Information System Cyberinfrastructure to Support Publication of Water Resources Data Jeffery S.
Impact of Sampling Frequency on Annual Load Estimation Amber Spackman Jones Utah Water Research Lab Nancy Mesner Watershed Science Jeff Horsburgh Utah. 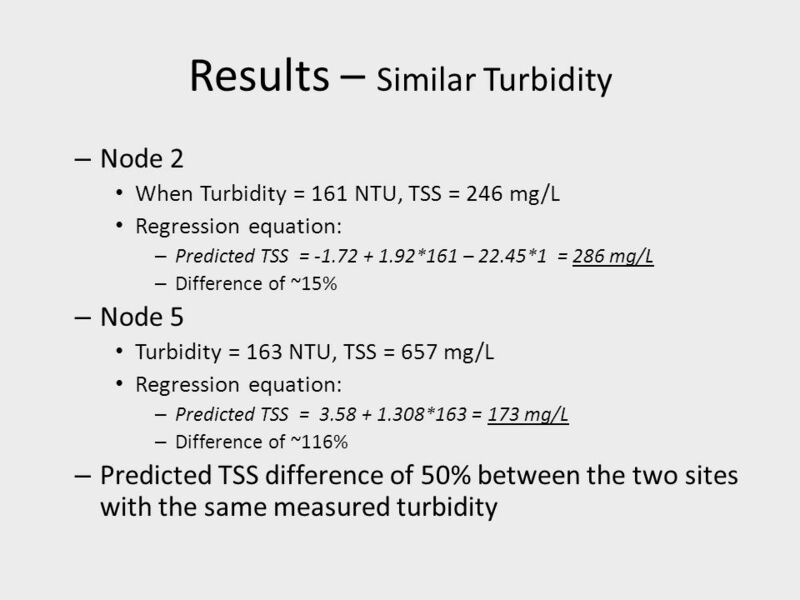 1-1 Regression Models  Population Deterministic Regression Model Y i =  0 +  1 X i u Y i only depends on the value of X i and no other factor can affect. 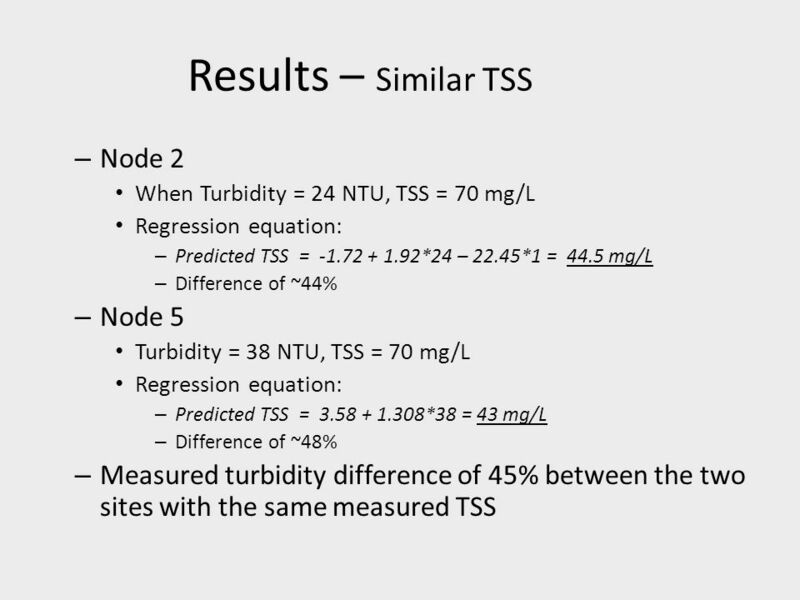 Regression Analysis. Unscheduled Maintenance Issue: l 36 flight squadrons l Each experiences unscheduled maintenance actions (UMAs) l UMAs costs $1000. 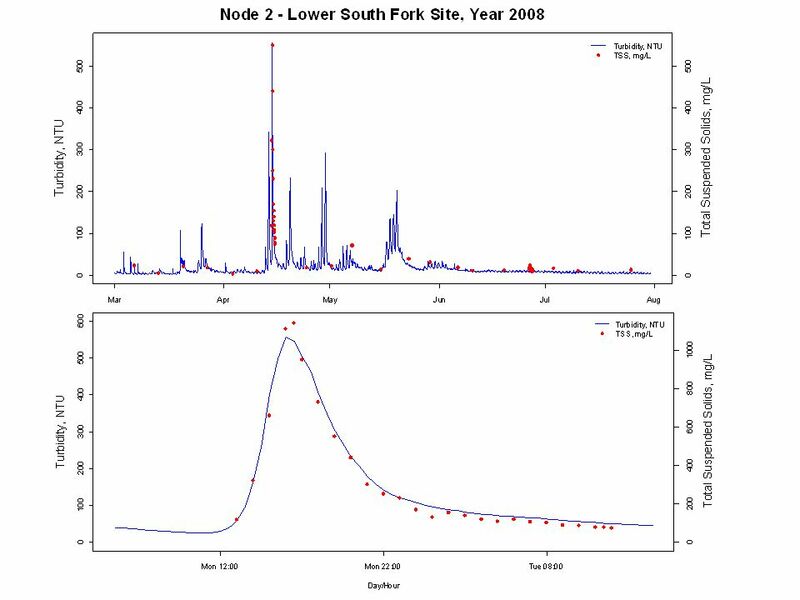 Common Monitoring Parameters. 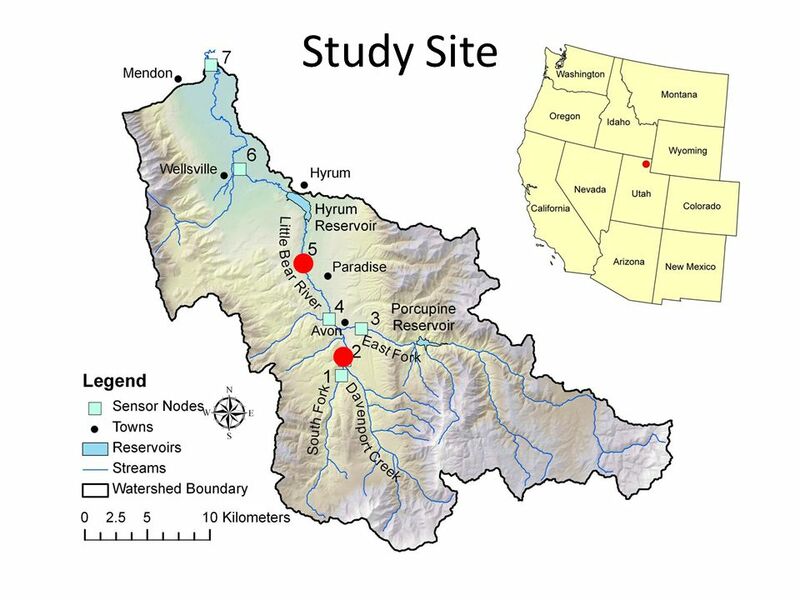 Step 1 Consider purpose/objectives of monitoring Assess use attainment Characterize watershed Identify pollutants and sources. 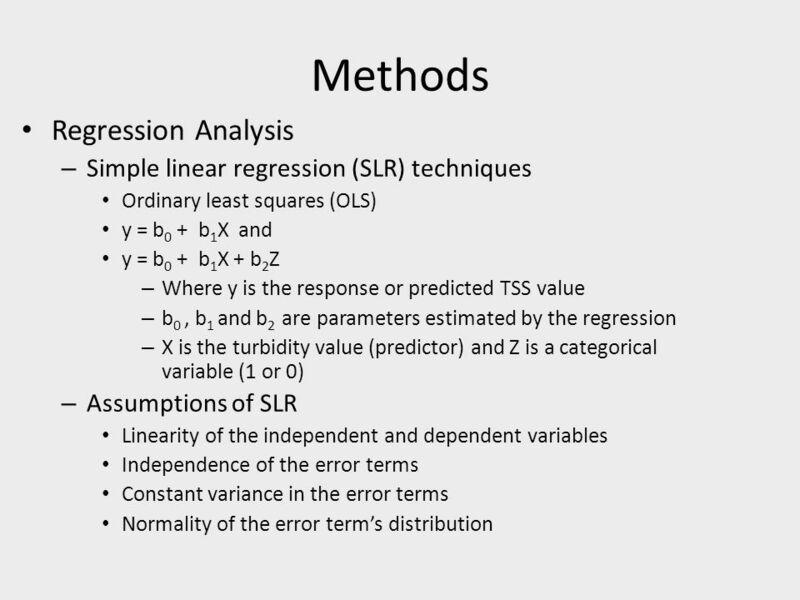 Lesson #32 Simple Linear Regression. Regression is used to model and/or predict a variable; called the dependent variable, Y; based on one or more independent. 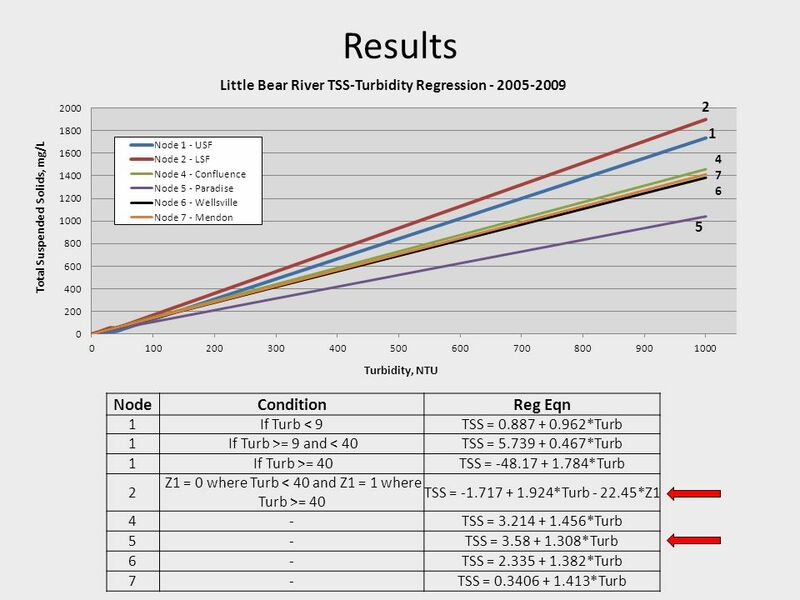 Real-Time Water Quality Monitoring for Investigating the Strengths and Weaknesses of Existing Monitoring Techniques Little Bear River Basin Jeffery S.
Chapter 4 Linear Regression 1. Introduction Managerial decisions are often based on the relationship between two or more variables. For example, after.